Sullivan was President of the APTA in 1964 and 1965, and was on the Board for many years prior to that, serving as secretary, treasurer, vice-president, and chairman of the nominating committee. During his tenure, the association improved its communication with the membership, and set the sport on a more professional footing by demanding quality umpiring and giving APTA more control over tournament draws. In the 1950′s and 1960′s Paul Sullivan was, without a doubt, a doer, an “in the trenches” guy who made an impressive contribution to our game over many years, although not necessarily on the court. Although he was a fine rackets man, it was his work for the APTA—as an administrator and promoter—that was extraordinary. Sullivan was President of the Association in 1964 and 1965, and was on the Board for many years prior to that, serving as secretary (1961-1963), treasurer, vice-president, and chairman of the nominating committee. During his tenure, the association improved its communication with the membership, and set the sport on a more professional footing by demanding quality umpiring and giving APTA more control over tournament draws. Sullivan was born in Brooklyn, NY, and lived most of his life in Scarsdale, NY. He was a graduate of Princeton University and served in the Navy as a radioman in Annapolis. [During WWII?] His work career spanned over fifty years with Hayden Stone and then Smith Barney. In his prime, Sullivan exhibited great court sense and graceful strokes and made it to the quarterfinals of the National Championships on one occasion. That achievement becomes more impressive at a time when, if you could get through the first round, you had done something. But, his true achievements came in the boardroom, not the playing court. When he became President, the APTA was coasting along, as it had been for years, happy, confident and a bit insular He approached the job with a “wish list,” and set about creating a more professional approach for the sport. Wanting some sort of steady communication from the Association to its growing member base, Sullivan was instrumental in the birth of the APTA Newsletter. When he wanted something in apparel with the APTA logo, we got an APTA tie. When he wanted professional umpiring for National Championships, the APTA Umpires Committee was formed. (Paul was also a USTA umpire and served in this capacity at the U.S. Open and Wimbledon). Perhaps more importantly, he wanted more oversight of APTA tournaments and so the Tournament chairman’s job function was expanded to allow the association to oversee tournament draws. 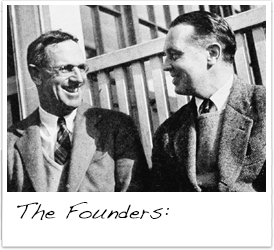 There were two other items on Sullivan’s “wish list.” He wanted to build exposure for the game and knew that one way to achieve this would be to change the venue of the Nationals away from Fox Meadow Tennis Club where, except for a few tournaments in the mid 1930s when they first began, they were always held. He accomplished that when the Nationals were held at the Wee Burn Club in New Canaan, CT, and this started the geographical movement of tournaments practiced today. Lastly, he wanted to identify and honor people who had done most for paddle, and so Paul helped create the APTA Honor Award in 1965. During the many, many years that the Nationals were held at Fox Meadow, he was the perennial tournament chairman, a job laden with tremendous detail, logistics and planning. He was drawn to it and did it to perfection. Sullivan is pictured in Oliver Durrell’s The Official Guide to Platform Tennis, published in 1967, with marking pen in hand, hard by the 128-team draw sheets in one of those many tournaments. He is also rendered, with artist’s license, in Robert Sticker’s well-known platform tennis painting, far court, ad side, on his way to making one of his signature backhand shots. Sullivan retired to Vero Beach, FL where he died in 2009.